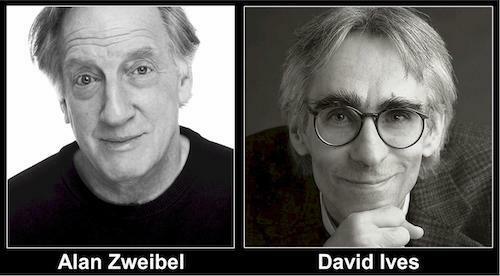 In PLAYING GOD, a divine comedy from SNL's Alan Zweibel, God (Bill Buell), over the objections of a heavenly assistant ("Curb Your Enthusiasm" star Susie Essman), challenges a self-involved doctor (Scott Adsit) to a squash match for his faith. Then, from the beloved narrator of the Harry Potter audiobooks and the playwright of Venus in Fur comes a wickedly clever whodunit, THE MYSTERY AT TWICKNAM VICARAGE by David Ives. In this parody of Masterpiece Theater, Scotland Yard's Inspector Dexter (Jim Dale) arrives at Twicknam Vicarage to investigate the murder of Jeremy Thumpington-Fffienes (David Furr). Jeremy's wife, his two lovers, and a suspiciously attractive sofa aid in the investigation. After each play, host Claudia Catania joins the creative team for a lively discussion.